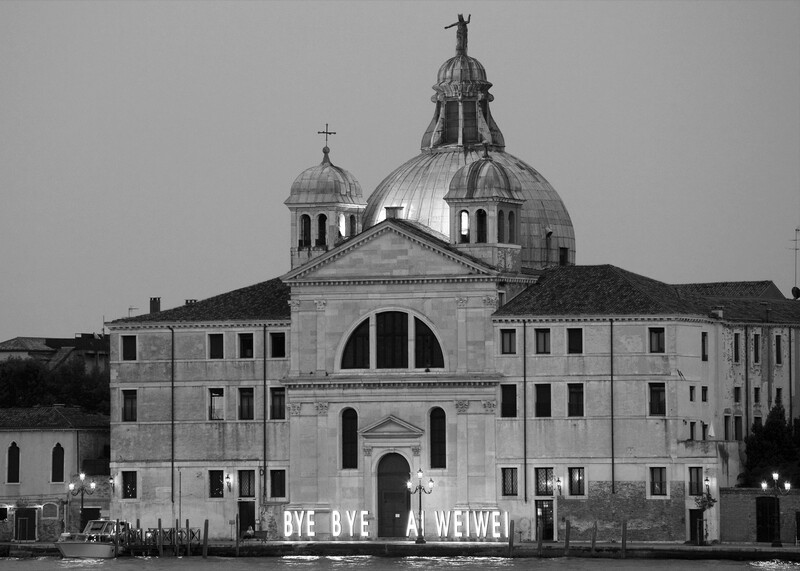 The work joined the international demonstrations of support and solidarity to the chinese artist and activist Ai Weiwei, arrested on April 2nd 2011 by the chinese police and kept in jail in an unavowed city. 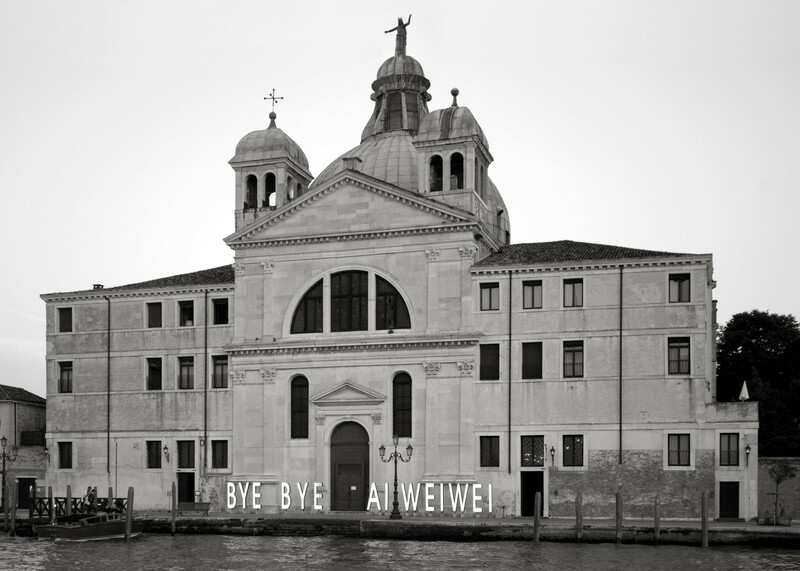 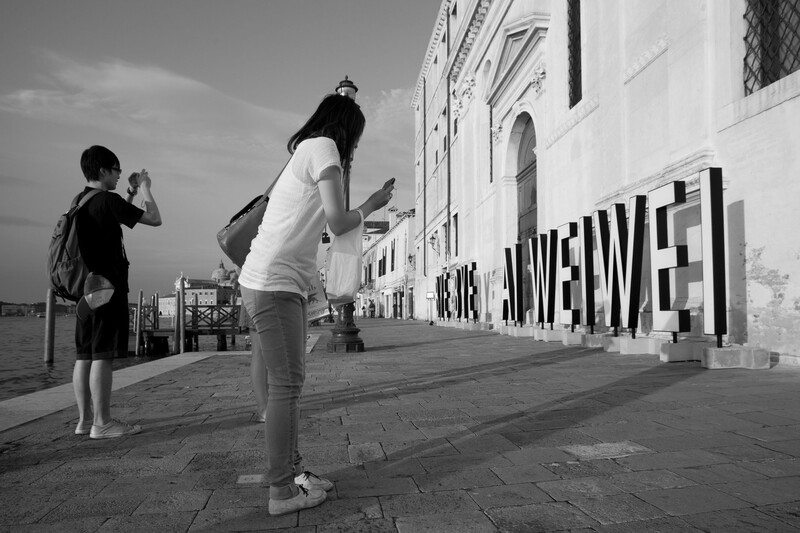 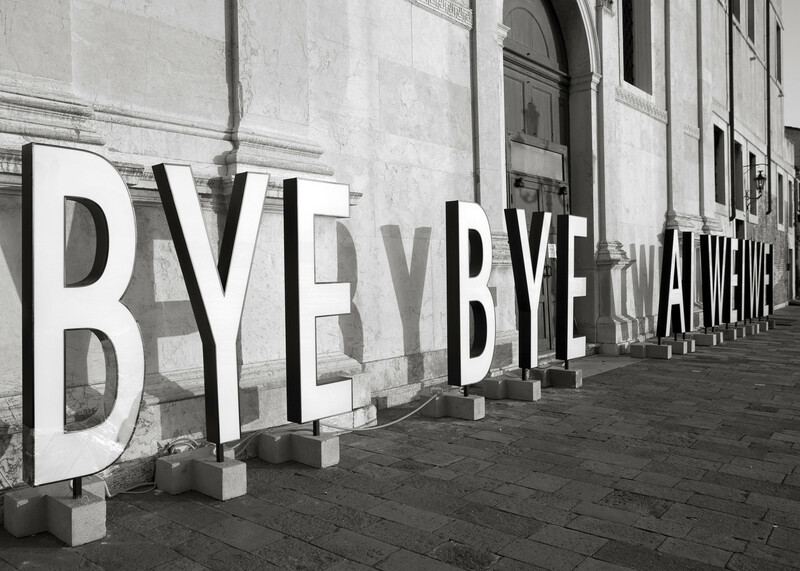 Bye Bye Ai Weiwei is a big backlight sign installed in fronte of a former convent of the XVI century designed by Andrea Palladio – now Hotel Bauer Palladio – one of the most notable and refined architectonical forntages in Venice. 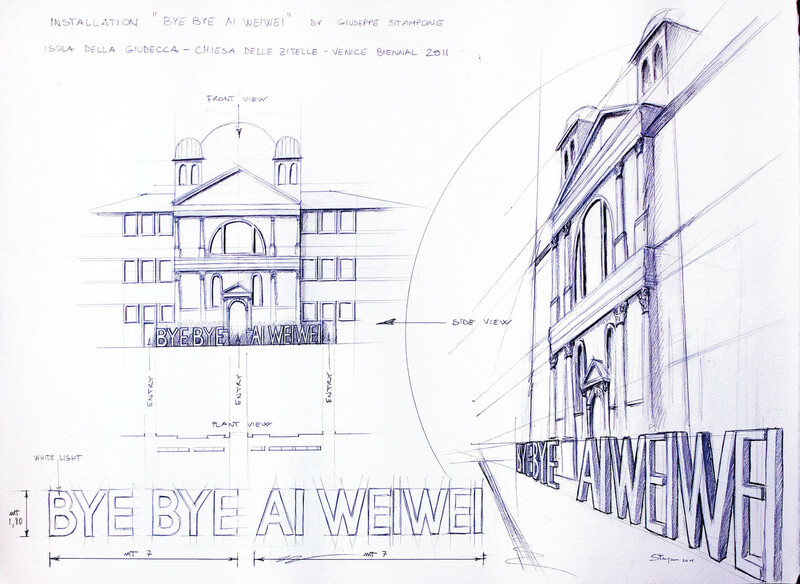 The installation creates a short circuit on many levels: between the palladian facade, image of an absolute formal balance related to the original function of the building as a convent, and its present function (a luxury hotel), the self-imposed spiritual retirement and the hotel hosting, the reclusion in prison and an ironical and terrible goodbye to a great artist and a star of the art system.